Q: What does one do with kefir when you’re tired of drinking it? 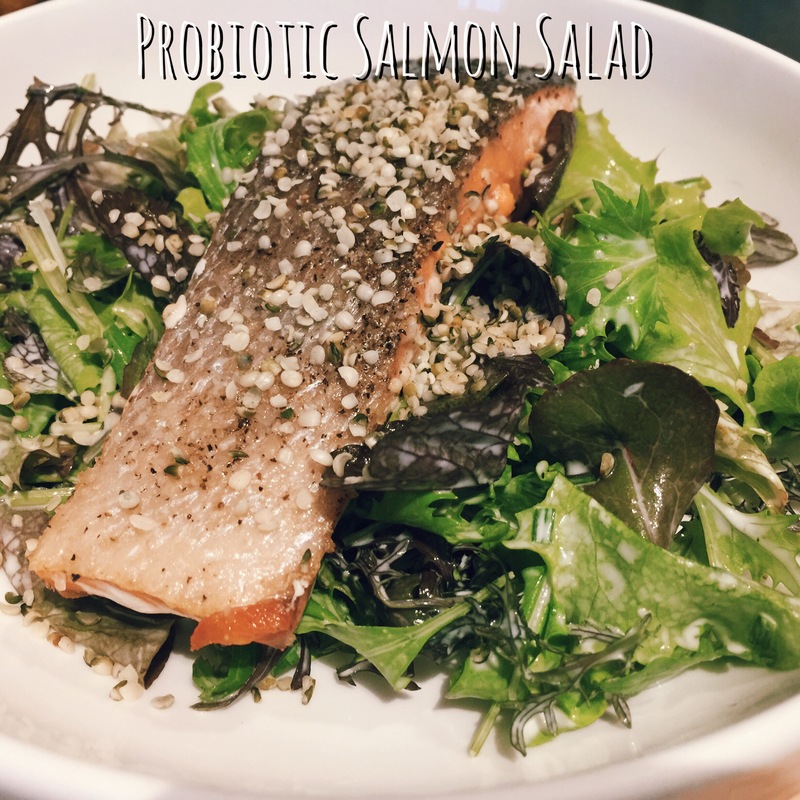 A: Kefir makes a great salad dressing for delicate early season greens and salmon. Thaw your fish if frozen and pat dry. Salt and pepper each side. Set a large pan over medium-high heat. Add your fat of choice. When the fat comes up to temperature, add the salmon skin-side down. Cook 3 – 4 minutes without touching. Gently flip and cook an additional 3 – 4 minutes or until your desired doneness has been reached. While the salmon is working, add the greens to a large bowl. Whisk together the kefir, lemon juice, honey, mayo, garlic, chives, salt and pepper in a small bowl. Set aside. Combine the greens with the dressing. Split between two bowls. When the salmon is finished, place on top of the salad. Sprinkle half the hemp seeds per dish and enjoy. Serves 2 as a light dinner.